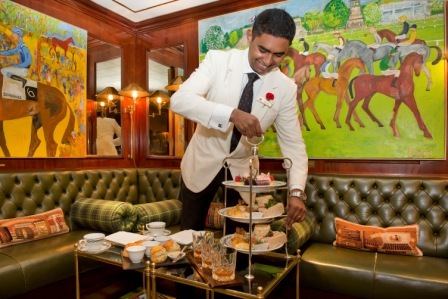 Just in time for Fathers Day (15th June),the luxury and quintessentially English Milestone Hotel, the Kensington signature property of the Red Carnation Group, is launching a gentlemen’s afternoon tea for the month of June. Although it welcomes both ladies and gentlemen, the afternoon tea will incorporate mostly savoury items popular with the palates of men. 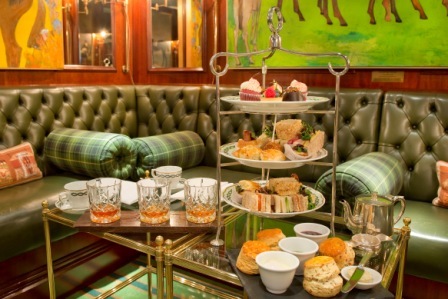 What’s more, tea can be served with Ale or Whisky Flight options. Favourites such as mini home made pork pies, mini Cornish pasties and mini toad in the hole have been created to satisfy the generous appetites of the busy Gentleman. For those wanting a more ‘manly’ scone, maple-cured bacon scones will be served with truffle butter in addition to the traditional scones with clotted cream and preserve. Finger sandwiches are filled with rare sirloin beef and horseradish, honey roast ham and English mustard and cream cheese and smoked salmon.The sweet tooth has not been forsaken but combined with tantalising liquors such as cupcakes with whisky cream cheese frosting, brandy soaked berries tart and chocolate and orange liqueur torte. 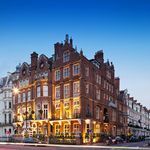 The Milestone Hotel is conveniently located opposite Kensington Palace where Her Majesty Queen Victoria used to host tea receptions that quickly became a fashionable pastime. 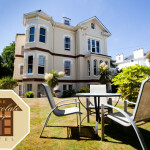 The Milestone has already won a number of accolades including the Award for Excellence 2012 from the Tea Guild for an outstanding afternoon tea. 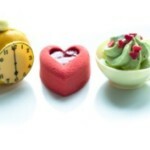 The Gentleman’s tea will be served throughout June and pre booking is essential.